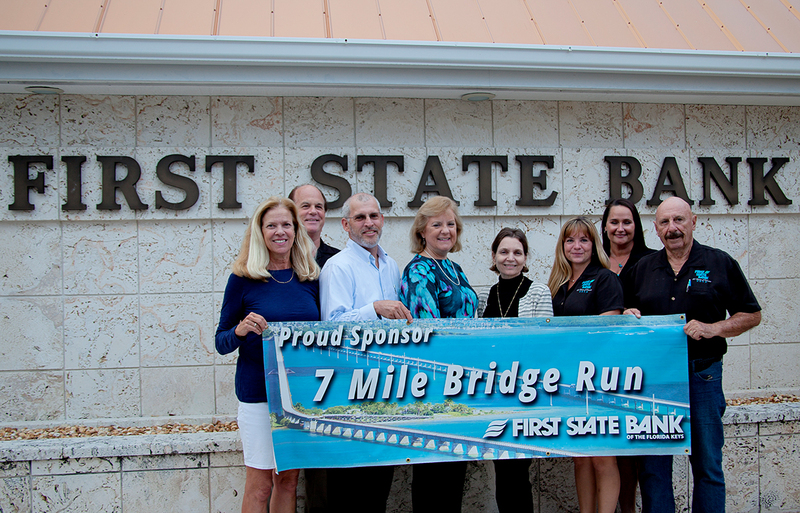 The Marathon Runners Club’s 7 Mile Bridge Run began as a dedication run in 1982, celebrating the opening of the “new” 7 Mile Bridge. Monies raised from this event are donated to the local youth of the Middle Keys, both at the local schools as well as other youth groups which promote athletically oriented activities. Since the inception of the run in 1982 Middle Keys’ kids have benefited from donations of well over $500,000 distributed by the Marathon Runners Club. This run is the only known run that is completely surrounded by water from start to finish. It is officially marked at 6.8 miles. First place age group winners and overall winners have always been awarded the , unique black coral 7 to wear proudly. We are very thankful to ALL of the sponsors, volunteers and participants, as well as the continued support from the City and County Commissioners, Florida Department of Transportation, Monroe County Fire and Rescue, City of Marathon Fire and Rescue, and our local Monroe County Sheriff’s Department.